Smart business operators practice good record-keeping to have sound finance. Today, they can save time and money by using a customized Petty Cash Template. It is ideal to record a company’s transactions. This template is free. It works for all businesses and offers convenient customization. Everything is clear-cut, and users do not need previous experience to create professional-looking copies. It already has the headings; date, withdrawals, receipt, deposits, and description prearranged. A user can easily edit the document as needed. The downloaded copy is accessible with Microsoft Excel 2003 or a later version. First, enter the company name, then save the data. Feel free to brand it as deemed fit, but take care to make it look professional. Secondly, include the date and the remaining balance in the log. Lastly, fill in all other necessary details into their designated fields. It is absolutely effortless. Future updates are possible in Excel, provided that users store the files safely. 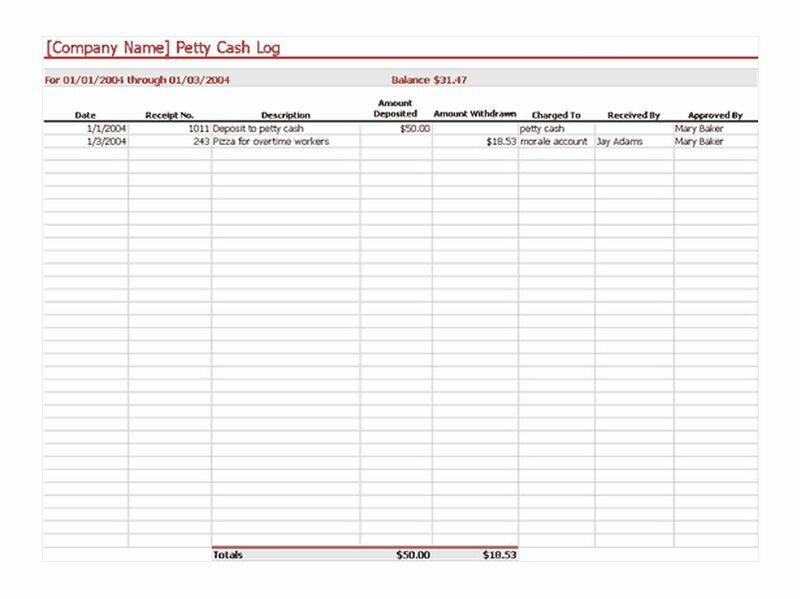 When writing up the petty cash logs, be sure to separate transactions according to their use; credit or debit. Users should also keep track of the approvals and receipts history. This particularly entails the receiver of the payments and authority who approved the transaction. Additionally, it is sensible to be as specific as possible with item descriptions. This is to ensure that the members of respective departments can understand these particulars clearly. Another requirement to take seriously is to make sure the total net expenses match the totals of the individualized columns. This is to ensure the spreadsheet balances well. After completing the document, save a copy to gain access in the future. This allows easy sharing with other employees. A business has many uses for a petty cash template. It limits the hassle of bringing around extremely detailed cash books that are often confusing. Furthermore, it is possible to view saved copies anywhere and anytime. In addition, it is quick and painless to prepare fiscal reports of weekly, monthly or yearly expenditures. It is an absolute way to cut labor cost. This initiative proposes improvement in small, medium-based and large infrastructures alike. There’s no out-of-pocket cost, so click here to download a free copy today!